Are your Kitchens Ready for Summer? If you have a business that has commercial fridges and freezers then it’s definitely time to check your Units. Whilst you carry out your – ready for summer clean – also check that your Fridge door seals are not worn or damaged. As soon as the temperature starts to rise in the spring your refrigeration equipment will start to work much harder. If your fridge door seals are old, split or worn this may start to cause the units to work less efficiently and may even lead to breakdowns. A simple fridge door seal replacement will cost you far less than equipment failure which can run into hundreds. We have all of the most popular makes and models on our vast database, including: Foster, Williams, Gram, Blizzard ………. So save yourselves time/hassle and money visit our website: www.thesealcompany.co.uk or Call 01379 788221 where we will be more than happy to help. Try to make my Life Easier. The Seal Company won’t be able to help you with the first one, that’s all down to you. We can definitely help you with the other two goals. If – at any point this year – you require Commercial fridge door seals then we can both make your life easier and save you money. The Seal Company specialise in making the whole process of ordering the correct Fridge Door Seal as easy as possible. We completely understand how easy and costly it can be to get it wrong. Step 1 explains what you should be typing into the search box, if you have an identification plate. Step 2 explains “How to Measure” you fridge door seal. Step 4 explains How to remove and replace a fridge door gasket or freezer door gasket. Step 5 Tips on how to achieve a perfect fridge door seal. We pride ourselves in producing quality fridge seals that will last longer. 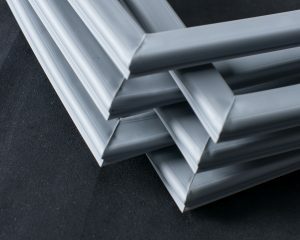 We also source our raw materials from western Europe. This ensures that the materials meet all the required regulation standards. 98% of our fridge door seals are manufactured at our unit in North Devon. We aim to deliver all orders in 2-5 days but most smaller orders are delivered next day. We hope this information will encourage you to give us a try next time you need to order fridge door seals. Replace a Fridge Door Seal in 3.5 minutes! Would you pay someone £15 to replace your Commercial Fridge Door Seals? 3 minutes 30 seconds to change a full upright fridge door seal. Most commercial seals are less than half this size and take around 2-3 minutes to replace. A large commercial kitchen has between 20 and 60 fridge door seals, at £15 each! you do the maths. Any member of staff could replace 5 seals in less than 1/2 hour. The Seal Company offer a direct service, supplying 1000’s of Branded Fridge Door Seals as well as unlimited bespoke/Custom Made Fridge Door Deals. Please Note: Any independent company that offers to replace your Fridge Door Seals will incur very high costs and these costs WILL be passed on to their customers. We source only the best raw materials from the UK and Europe. The Seal Company Manufacture seals to any size and apply rigorous testing and quality control procedures to each one. We receive high volume discounts on our raw materials and pass these on to our customers. There are several reasons why your commercial fridge or freezer could be performing badly, causing the temperature to rise beyond a safe level for cold storage. It just isn’t cold enough even though you have set the temperature to where it should be..
You are experiencing excessive frosting. The first and easiest place to start is with the Fridge Door Seal. Over time a Fridge Door Gasket can become brittle or split. If this is the case your Seal needs changing and this will hopefully solve the problems with the performance. If your Fridge Door Seal doesn’t appear damaged take a look at how it is sealing all the way round. Over time fridge doors do become warped or the main body of the fridge becomes out of line. This could have the affect of pulling the Fridge Door gasket away at certain points and allowing heat into the unit, this will cause a degree of frosting and make it harder for the fridge to remain cold enough. It will definitely increase the workload of the unit. If your Fridge Door Gasket is in good working order you can check the back of your Fridge or Freezer. Here you can see the Heat Exchanger coils and fins. These are designed to cool the gas as it passes through. These coils and fins will become clogged up with dirt over time, this dirt will reduce the ability of the coils and fins to cool the gas and have the effect of making the appliance less efficient. Please take a look at the following link which shows you how you can safely clean these areas. One point this link doesn’t refer to: If there is a build up of fatty deposits on these coils. The fins and coils then need to be cleaned using a spray cleaner that will help dissolve the dirt. One popular product is RTU Condenser cleaner. We have developed a website dedicated to making the process of ordering Freezer Door Seals and Fridge Door Seals as easy as possible. Our aim is to provide quality commercial Fridge Door Seals to both Trade customers and end users. The Seal Company was established in 2009. 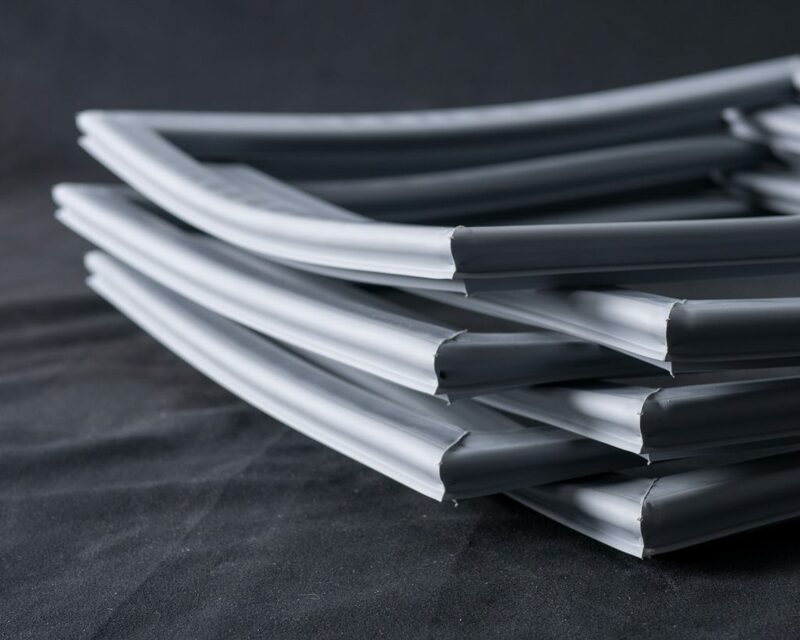 We have used our years of experience to develop this Website which is dedicated to making the process of ordering Commercial Fridge or Freezer Door Gaskets as easy as possible. Would you pay someone £15 to carry your shopping to the Car? Is it because this is a job you can easily do yourself? Is it because this seems an awful lot of money to pay someone for an unskilled job? Is it because it would only take you a few minutes to do this yourself? Or, is it because you could really spend this money on something much more exciting? THIS MESSAGE IS FOR ANYONE THAT HAS A COMMERCIAL FRIDGE OR FREEZER ON THEIR PREMISES. Fridge Door Seals are not the most exciting product in the world but just about every commercial premise in the world – that has a Fridge or Freezer – will have to replace them at some time. I have used the analogy above because many businesses have been using people to come into their kitchens ETC to replace Fridge door gaskets at an average cost of £15 per gasket. This is a job that anyone can do in around 3 – 4 minutes per seal. The Seal company sell Replacement fridge door seals – all over the world – direct from our factory in Devon. Why buy Direct from The Seal Company? Our Fridge door gaskets are cheaper if you buy just 1 (we charge a one off delivery charge). If you buy 2 they are much cheaper and so on. We make our own replacement fridge door seals in a controlled factory environment with all the quality checks required. We supply a vast range of seals from the very popular Foster door seals and Williams door seals to the very obscure. The Seal Company website www.thesealcompany.co.uk guides you through the process of buying Fridge door seals, whether your appliance has any details or not. I will be giving you some really easy tips how you can help lengthen the life of your Fridge or Freezer and make it work at its optimum level.